Over the past few days D has been quite content eating the Smoky black beans and has appreciated their versatility enormously, so have I, but I wanted something different on my plate. We have a load of winter root vegetable that I decided to chop and roast them in the oven. 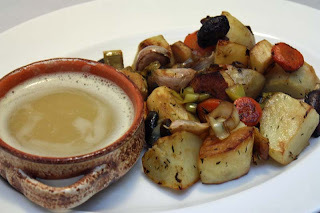 Its not the first time we’ve had roasted winter vegetables, the difference with this one and the one I’ve made in the past was very slight in that I coated the vegetables with Tamari sauce. I served the roasted vegetables with some Dal gravy. The Dal gravy was not particularly complimentary. D said it was like a 'currified cappuccino'. I woudn’t go that far, but agree it was not suited to the meal we had in front of us. Mix all the vegetables with vegetable oil, a little dried Thyme, Tamari and pepper to taste and place in a large ovenproof dish. 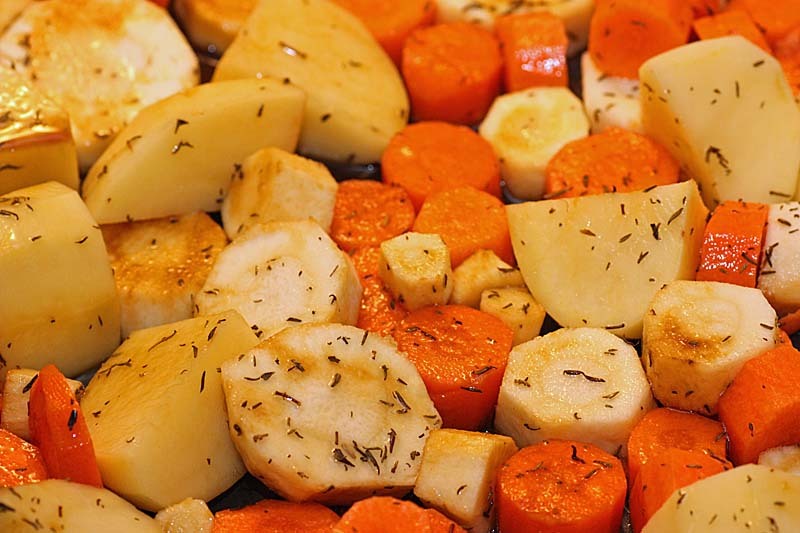 Roast in oven for 45 minutes to an hour, or until vegetables are tender. Serve immediately with a good gravy. Great idea to use dal as a gravy :-). 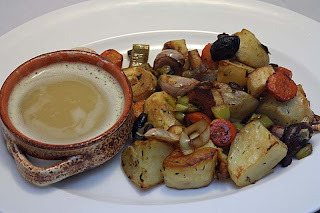 I love love roasted winter vegetables! I think I should try using whole champignons, too. Wow! This looks great, definitely want to try this! A Dal gravy to go with roasted vegetables! What an idea of genius! Thank you! Roasted winter veggies are happy food for me! Thanks for visiting my blog! Now whay did I not think of mixing or serving the two together. Thank you so, so Much Rececka. Where do you buy Tamari sauce? 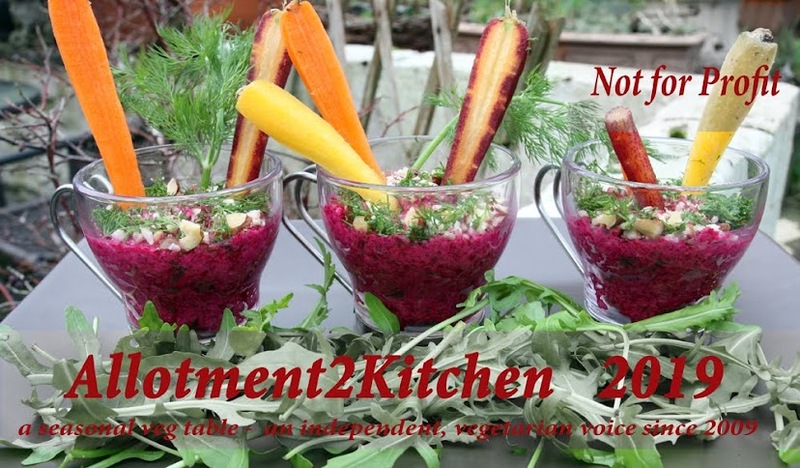 I usually dust my root veg with ground cumin and cinnamon but I am loving the sound of this. Thank you so much for coming by my blog Lena. I like the sound of your serving suggestion. I used to get Tamari from the Chinese specialist grocers, but nowadays most of the larger supermarkets in the U.K sell/stock them. Those roasted vegetables look delicious! Thanks for posting the recipe, as I'll be sure to try it out! 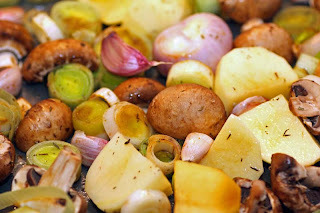 i love the roasted vegetables:) looks so yummy! thanks for sharing this. hope you have a nice day. 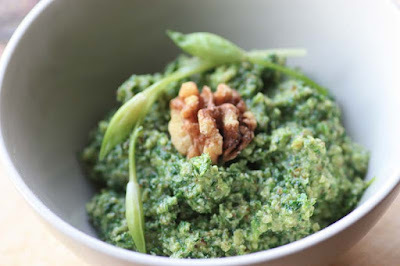 Thank you Black book kitchen diaries. Hope your having a good day too. 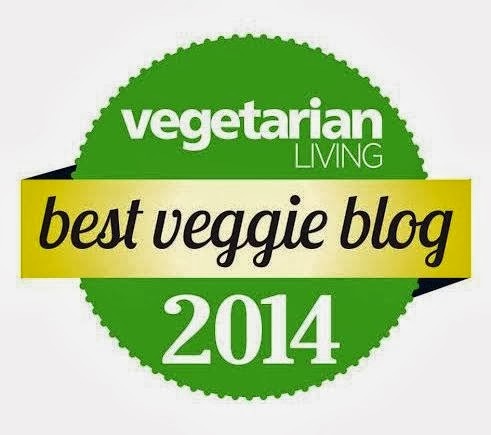 One of our "go to" meals is roasted veggies. I usually toss them with a little bit of barbecue sauce. Not enough to really taste, but it gives them a little extra something. A loaf of homemade bread and a pan full of roasted veggies is so comforting. Thank you so, so much Xylia. I must try roasting veg with some BBQ sauce, but I have to admit - BBQ sauce is not something i've ever used in my cooking. I think its about time, I had a go though.